Every organization has its own culture, and 4-H is no exception. Here are the ones that make 4-H unique! 4-H is the youth development outreach program of Land Grant Universities, the Cooperative Extension system, county government, and the United States Department of Agriculture. 4-H members are actively involved in educational projects that are fun but also instill life skills while working with caring adult leaders. 4-H projects use quality curriculum incorporating the most current research and knowledge available through the Land Grant University system. 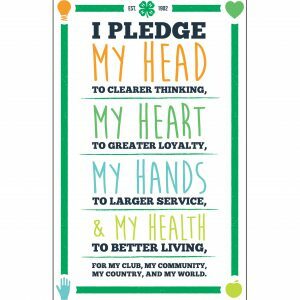 The 4-H Pledge states what we want youth to achieve as a result of their involvement in the 4-H Youth Development program. It reminds members of the four areas of growth 4-H targets and reinforces the importance of mastery of life skills. The 4-H colors are green and white. White symbolizes purity and high ideals. Green, nature’s most prominent color, represents growth. The motto’s intent is to inspire young people to continue to learn and grow and to make their best efforts better through participating in educational experiences. This sums up the educational philosophy of the 4-H program. Young people learn best when they are involved in learning. The intent is for youth to become engaged in learning by doing, reflecting on their experiences, and applying it to future situations. 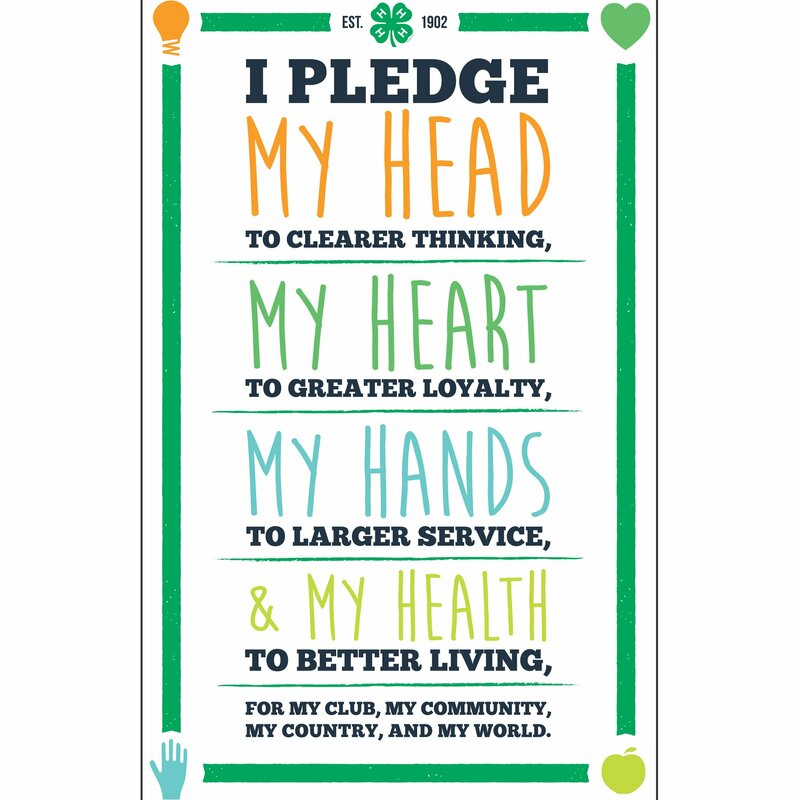 The 4-H Youth Development Program is represented by a popular, recognizable image that consists of a green four-leaf clover with a right turned stem and the letter “H” in white on each leaflet. The text, 18 U.S.C. 707, appears with the emblem.The name and emblem are held in trust by the Secretary of the USDA and are protected by Title 18 of the United States Code, Section 707 (18 U.S.C. 707). This means it is afforded the same status and regard as the White House and Presidential Seals and may only be used as authorized by the statute, regulations and guidelines, and according to the authorization of the Secretary or designated representative. I hope you enjoyed learning more about the culture of 4-H. Use of the 4-H name, motto, slogan and emblem signifies youth, adult leaders and 4-H Agents agree to the principles of youth development promoted through 4-H. To find about more about 4-H in your county, click here.